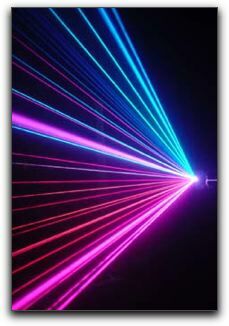 The word ‘LASER’ is an acronym for Light Amplification by Stimulated Emission of Radiation. A laser device emits a powerful, highly-concentrated beam of light. (Didn’t we all love the amazing laser weapons in ‘Star Wars?’) Lasers are used in hundreds of applications in almost every industry including communications, researching, manufacturing, entertainment and medicine. Lasers are now used in some technologically-advanced Alexandria dental practices on both hard (tooth) and soft (gum) tissue. Lasers allow your Mt. Vernon area cosmetic dentist a degree of precision that was previously impossible. How does laser dentistry benefit our cosmetic dental patients? Alexandria dentists use lasers in crown lengthening, decay detection, bacteria removal in root canals, gum recontouring, biopsy, lesion removal, and tooth whitening. If you are interested in any of these procedures, call Mt. Vernon Center for Dentistry at 703-360-5881. Dr. James D. Geren has been providing unsurpassed general and cosmetic dentistry since 1983. The latest dental technology is useless without the skill and experience necessary to deliver the best possible outcomes. Let us show you some photos of the results we routinely achieve at Mt. Vernon Center for Dentistry in Alexandria.